Lauren Madalian has had a strong start to the 7’s season for West Chester as she has accounted for seven tries and one conversion for a total of 37 points over the course of two Tournaments. 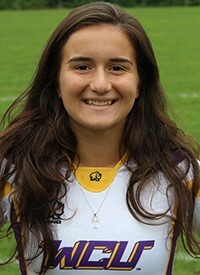 Most recently, Madalian led the purple and gold in scoring at the Bloomsburg 7’s Tournament on Saturday afternoon as she logged three tries and one conversion for a total of 17 points on a day that saw West Chester play to a record of 2-2. 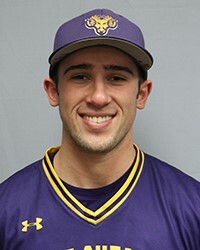 Jared Melone had a great week for West Chester as he went 8-for-17 (.471) at the plate with six runs scored, six RBI, three home runs, one double and three walks to help West Chester to go 4-1 on the week including a sweep of East rival Lock Haven. After a difficult beginning to the week, Melone rebounded on Friday afternoon in a doubleheader against Lock Haven as he went 3-for-6 with a pair of runs scored, three RBI, a home run and three walks. On Saturday afternoon, Melone performed well once again as he went 5-for-8 with four runs scored, three RBI, one double, two home runs, and another walk.